At the end of every year Google publishes a feature called Zeitgeist that summarizes Google search queries that have happened in the particular year and 2010 is no different. However this year Google has published a Year in Review Video along with Zeitgeist for the first time! This year, Google search got almost 20% new queries every day. Google Zeitgeist 2010 captures the most popular and fastest rising queries from the year to capture the joys, sorrows and curiosity that users across the world felt, capturing the spirit of 2010 - in Search! This year's Zeitgeist also has another new feature - interactive HTML5 data visualizations for the top search queries on Google and events from around the world. For example, you can compare the popularity of the Olympics vs. the World Cup by measuring Search Query volumes from the interactive Zeitgeist. 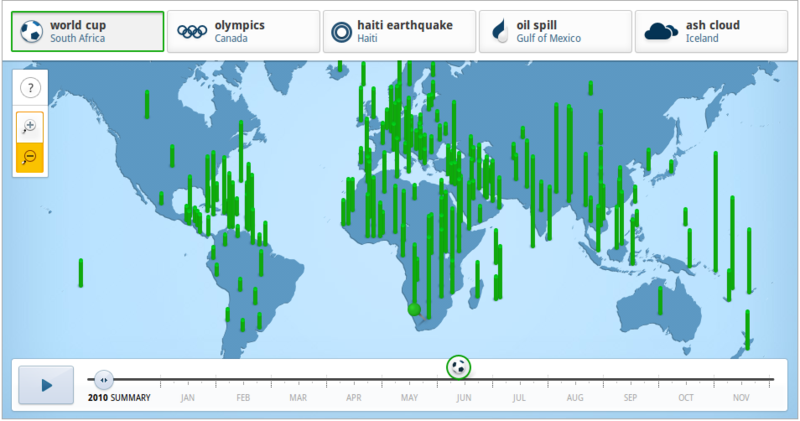 Apart from this you can check out the world’s reaction to Haitian earthquake or the Gulf Oil Spill through search trends. Here is the Google Zeitgeist 2010 Video. Click here if you cannot see the embedded video below. Lastly for those who do not know, the awesome song that plays in the background of the Google Zeitgeist 2010 video is Good Life by OneRepublic.